Recent reports and analysis from organizations in real estate market showed positive views about market. “The market is warming up in 2015”, observer said. In the first quarter 2015, the market is showing up its recovery trend. Credit balance and the number of transaction increased. Successful transactions keep the growth in comparison of same period last year. In Hanoi, there are 4.250 successful deals in first quarter this year, three fold compared with same period 2014. The market focus is on the under-construction projects and good location ones. The same situations happening in Ho Chi Minh real estate market. Namely, there are 3.950 successful transactions, most of small and medium size apartments segment (70 – 90sqm of area). The inventory for real estate is dramatically decreasing in first 3 months. Estimated to the end of March 2015, the sum value of the inventory in whole country is only 70.703bn VND, 45% decrease (57.845bn VND), in comparison of the first quarter 2013. In Hanoi, the inventory is 9.006bn VND, equivalent 45%. Same with Ho Chi Minh City, 14.057bn VND, 51% go down compared with quarter I/2013. According to the statistic from the Construction Ministry, the credit balance in real estate calculated to 31st Jan 2015 around 316.578bn VND, mean 4.8% increase compared with the end of 2014. Evaluations from the ministry also show the price level is fairly stable. For some projects, which located in a well-equipped infrastructure zone and their deployment keep the schedule, the price is slightly go up. In Hanoi, the price for apartments is stable in general speaking; for some project under construction but in good location, the price rises from 1-3%. In Ho Chi Minh market, the price is also stable, not many fluctuations but we also observed some increase in good location projects. The Construction Ministry said, as of mid-March 2015 the 30.000bn VND credit package, which is supposed to give real estate market a push, has been disbursed 6.285bn VND, equivalent of 20.95% the total. Besides, the capitals committed for lending reached 10.967bn VND, corresponding to 36.5% the whole package. Considering the structure of the loan, the banks have contracted to commit for 14.367 households, personal loans totaling 6.547bn VND, of which 4.525bn VND has been disbursed. Besides, the banks is committed to loan 34 projects 4.220bn VND, disbursed for 31 projects with 1.760bn debt. Also in first 3 months this year, the real estate market occur the conversion trend from residential to social houses and it also adjusted the structure of commercial houses segment. There are 88 projects applied for structural adjusting in apartments, an increase of 14 projects compared with same period last year, the number of apartment is 36.113 initially, applied to convert 49.199. There are 62 projects registered for converting from residential to social housing with the construction scale of 41.769 apartments. Although the market is showing some positive signs, but more than ever, the management authority and businesses need to have suitable movements, must avoid creating shocks, disappointing the confidence has newly rekindled. With the warming of the market, there are some bad tactics of creating virtual fever appeared with sophisticated level. Together, the credit policies are being loosed more to the real estate market while the interest rate is attractive. It is clearly that the market is recovering but how long it stands this state or this is just a temporary in short-term, depends on the attitudes from all partners. Remember, haste is of the devil! 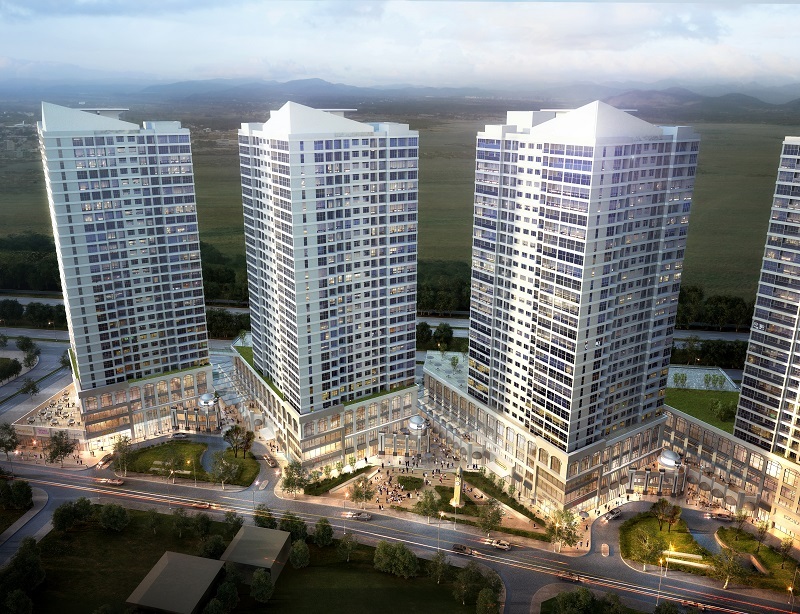 >> Why foreign investor should buy property in Vietnam this time?